"I do not know why, but that black track had a desolate look on the white ground, and the black priest hurrying down the hill looked desolate, too. There was something infinitely lonely, infinitely pathetic, in that scurrying figure, indistinct through the falling snow." The Lame Priest is a gothic short story by Susan Morrow Jones (S. Carleton), first published in December 1901. The story opens as the narrator is walking back to his cabin, a little shack in the woods, after a trip to the nearby village. On the way, he sees a strange priest in a black robe running hurriedly towards the village. He looks gaunt and desolate and has a limp. Back in his cabin, the narrator meets his friend Andrew, an Indian, who warns him about the wolves and the strange things that might be hiding in the woods. And when the narrator runs into the lame priest again, the priest gives him a similar and equally cryptic warning. Soon enough, the strange prophecies seem to take shape, as a lone wolf starts preying on the villagers' children. 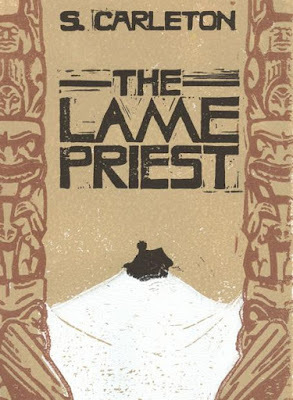 The Lame Priest is beautifully written. I loved the air of mystery, which is there right from the first page. Though the writing isn't outright scary, it is distinctly eerie. The setting is wonderful, the descriptions are vivid and you are involved in the story from start to finish. You can read this story here. This review is a part of Peril of the Short Story from the R.I.P. Challenge. You can read more short stories on Short Stories on Wednesday at Risa's Bread Crumb Reads. I have never heard of this before, but it sounds interesting. Thanks for the review! I don't know if I could take the 'preying on children' part. (says this mother) But other than that, I like the sound of it.